Welcome Spring! It's finally here and to celebrate we have teamed up with our Disney blogging friends for an Eggstra Special Giveaway Event. 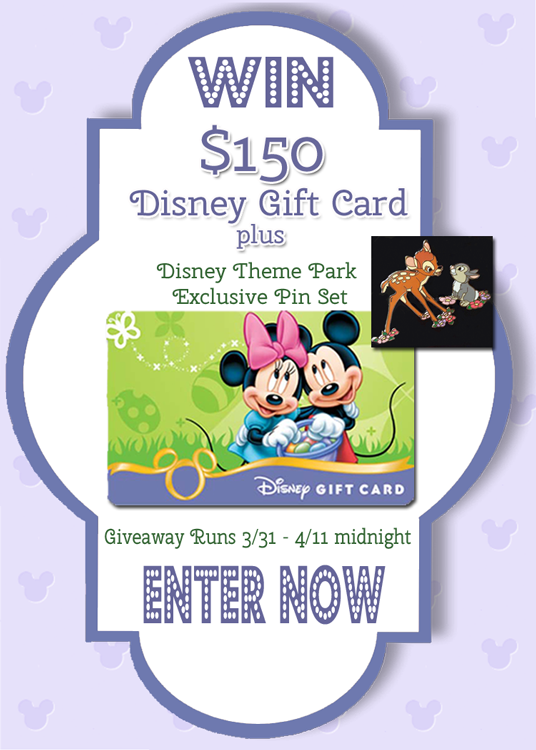 One of our lucky readers will win a $150 Disney Gift Card and a Bambi and Thumper Pin Set! More ways to enter! There is a daily entry for more chances to win. You can enter right here on the blog or from our Focused on the Magic Facebook Page. The lucky winner will be announced right here on Focused on the Magic, after the winner has accepted their prize. Let it Go! Spring Fling #Giveaway! $60 Disney Gift Card and LE Flower and Garden Pin!